Our New Orleans and Metairie cosmetic sugeons use Restylane to help smooth and soften precise lines that form around the nose, nasolabial folds, lips and around the mouth. Composed of hyaluronic acid, it replenishes lost volume and is a great nonsurgical wrinkle treatment for patients seeking lasting results. This filler works great in areas where filler spread is not necessary. Once it is injected, our surgeons massage it gently and it stays localized in the area indicated. Most Restylane injections can last up to 9 months, or longer. "I had a breast augmentation done in 2011. The results were amazing!" "Dr. Khoobehi and his staff made me feel comfortable and relaxed since the start. The consultation included a 3D image of what the outcome would look like--which helped me to understand how I would look after the surgery. The operation and recovery was swift and smooth. I'd recommend his office to anyone looking for cosmetic procedures." 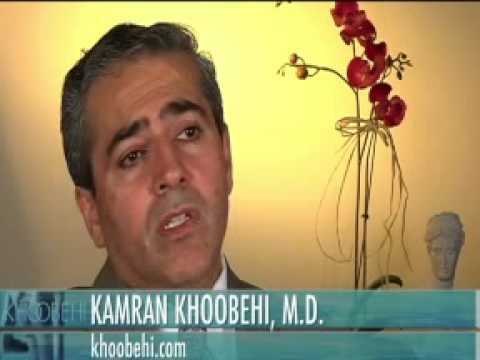 "I cannot say enough about Dr. Khoobehi! Hands down he is the best in New Orleans! If you want to take care of you skin and remain youthful - start seeing him!" "I have been getting botox and filler with Dr. Khoobehi for almost two years now. I was scared at first of doing this, but I felt completely at ease with Dr. Khoobehi. He takes his time explaining what he recommends, does not push you into getting anything, but will make suggestions. I have complete trust in Dr. Khoobehi and his skills. He does not go overboard with injections, I feel like my look is completely natural." "Upper Abdomen Lipo - I have had many procedures with Dr. Khoobehi. Recently I had Smart Lipo to my upper abdomen, and on the sides of my waist. My stomach is washboard flat and looks amazing!!!!! I love Dr. Khoobehi and his staff. They are the BEST!!" A Restylane treatment is quick and involves precise injection where volume is needed. The practitioner will clean the face thoroughly and then mark the injection areas with ink. A fine needle delivers the solution into the skin gradually to reshape and gain youthful contours. The procedure is pain-free with just slight discomfort of the injection prick that can be helped with a numbing cream that is applied prior to treatment. The quantity that is injected depends on how much volume the injection site needs. If the cheek appears to sag, it is filled in until it creates a lifted appearance that is reminiscent of youth. The duration of treatment may last up to 30 minutes. The results following a Restylane treatment are immediate. There may be swelling and redness around the treated areas, which will subside after several hours. Patients may resume work immediately but must avoid strenuous activities for about 24 hours. They are also advised not to put any pressure on the face and keep the head elevated so that the filler settles well to achieve the intended contours. Results may last up to one full year. This procedure is safe to repeat to maintain the desired results. For most patients, this is about every 6 months. There are many filler options to consider today. In addition to other hyaluronic acid based fillers, there are also some that contain calcium-based gels, collagen, and polylactic acid. A fat transfer using the patient’s own fat is also popular. The ideal filler must have a function that best matches the patient’s condition. During the consultation, each filler will be discussed and chosen based on the area being treated and patient’s cosmetic goal. A full syringe of Restylane averages $650. Some treatments may use multiple syringes. It varies on the extent of the facial depression and the number and size of the areas being treated. Patients must also keep in mind that this treatment is not a permanent fix; therefore, it will need to be repeated over time if the patient wishes to maintain the desired results. Restylane is commonly used for lip augmentation. The results are natural looking with a soft feel that patients love. FDA requires the patient to be at least 21 years old to receive the treatment. This treatment is best used to fill in severe facial creases around the nose and the mouth. It is an effective volumizer for sagging nasolabial folds and marionette lines, or even to decrease jowls. Both correct different cosmetic issues. Surgical lifts are a better option for those whose skin has a significant loss of elasticity. Derma fillers are ideal treatments for those who still have a healthy skin tone, but are beginning to show facial aging symptoms such as fine lines, wrinkles and hollow areas. During the initial consultation, the doctor will discuss in detail all of the options available and the best approach to achieve the patient’s aesthetic goals. * All information subject to change. Images may contain models. Individual results are not guaranteed and may vary. These prices include all associated fees including OR and Anesthesia when applicable.